Preparation is very easy, start by washing the strawberries. PICK off the green tops from every strawberry, then cut the top off. Be sure to leave most of the red part on, remove only the raw, green or white part. 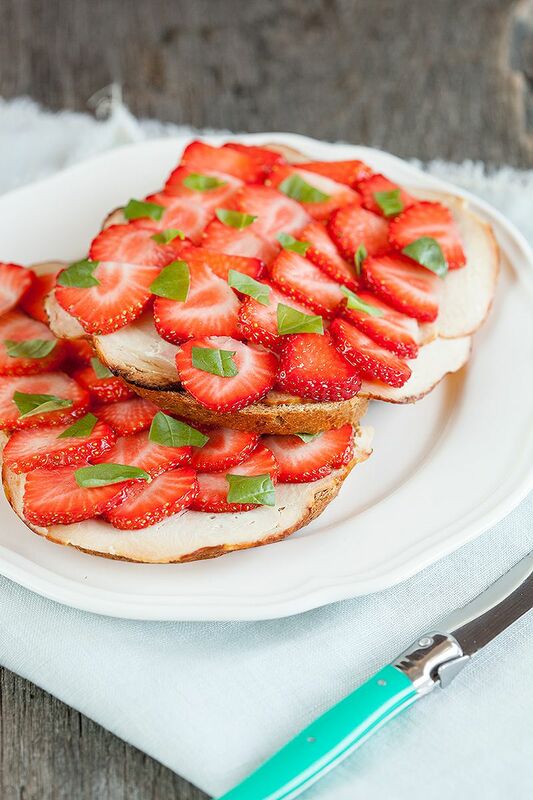 CUT each strawberry into thin slices. TEAR up a small handful of basil leaves. PUT two slices of bread on a plate, add two or three chicken slices on each slice of bread. 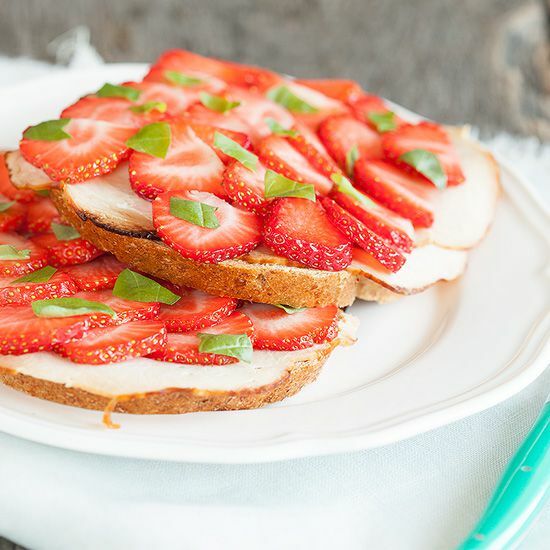 COVER the chicken with strawberry slices, and finish by adding torn basil leaves on top. Perfect quick lunch-time or breakfast meal! Enjoy. 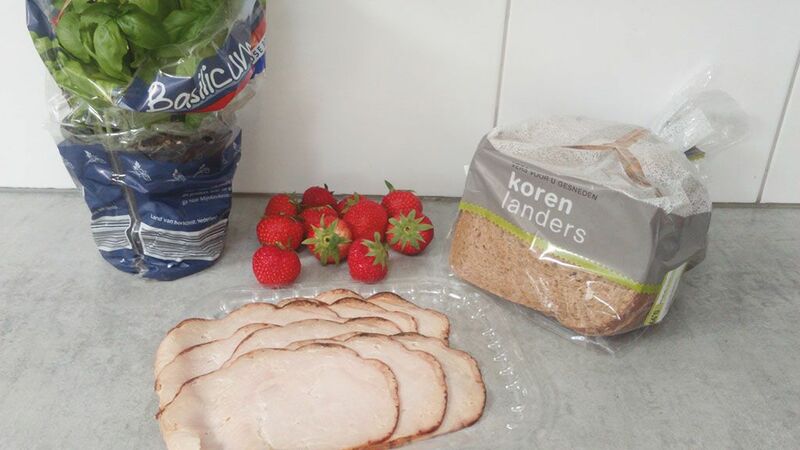 Definitely inspired to try out the combination of strawberries and chicken. Never have I seen a sandwich with both of them before! 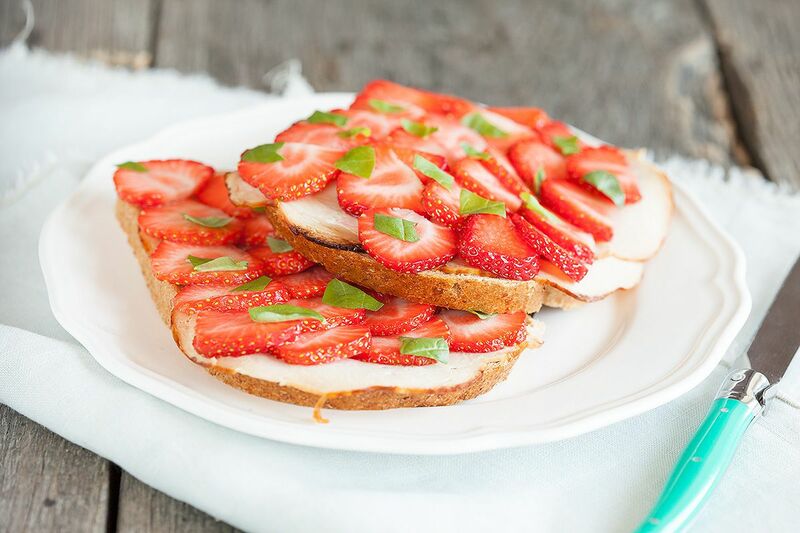 You can also try out a combination of strawberries and balsamic vinear, super delicious!